On a deeper level, the book is about building and feeding community, and, fittingly, it will be co-authored by 18 Reasons–a beloved San Francisco-based organization that provides classes to low-income residents and hosts monthly community dinners. We’d love for this book to inspire cooks everywhere to bring their communities together for a meal—no matter what the occasion. From a simple soup dinner to a pasta pot, whether using paper plates and fingers or cloth napkins, you will find a recipe around which you can create a well-considered delicious memorable event. Community cookbooks were important as they traditionally symbolized the collective effort of its people. We want to pull our community together to make this book and to encourage people everywhere to feed each other both literally and spiritually. Hey Buddy!, I found this information for you: "About the Book". 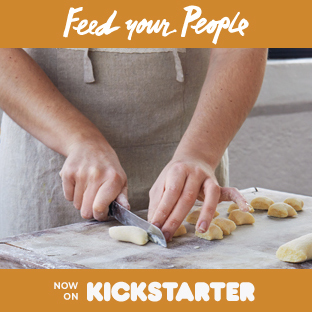 Here is the website link: http://feedyourpeople.org/about-the-book/. Thank you.